First off, here's my new stuff for the week!!! 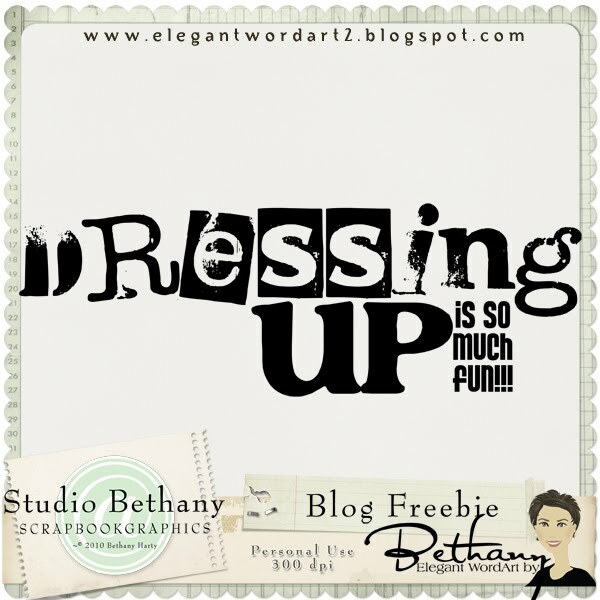 5 New WordArt packs and a Bundle. Because I know that you ALL love bundles. hehehe. 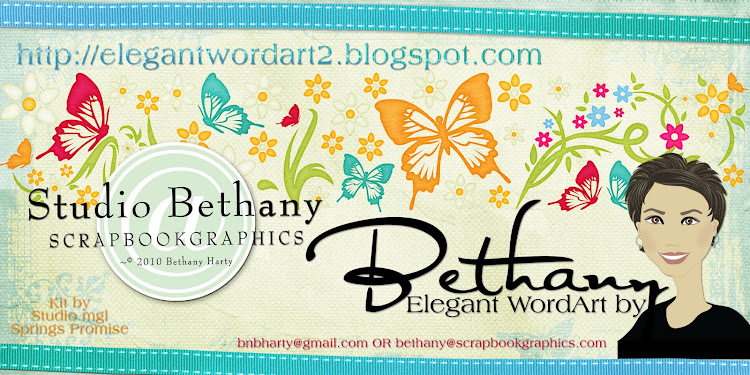 Here's a 10 WordArt pack for $8.00. Good deal, huh? Hey there, girls :) So you wanna hear about my nice, relaxing day at home? Well, part of that is true. hehe. I was SUPER tired when I woke up this morning, for some reason. I snoozed in WAY too long, and by the time I prayed and read scriptures, it was 7:15am. I barely got the kids out the door on time. And yeah, I totally went back to bed after eating breakfast. And woke up at 8:40am, and freaked out because I thought that I'd forgotten to wake up and get the kids ready, and that they'd missed the bus. hehe. So I was kinda startled awake by myself, if that's possible. hehe. Jimmy wanted to play the Wii, and instead of doing something else, or going somewhere, I decided to sit with him on the couch and crochet. I bought stuff yesterday to make a scarf. It took me a while to remember how to start it, but I eventually figured it out. hehe. I came back home, and got on my 46 inch laptop and worked on my store. I got a bundle ready, and loaded a product. And it wasn't as easy of a job as I thought it was gonna be, because I kept having typos. Dang hehe. But I eventually got it figured out. At lunch time, Jake and I started watching season 1 of Fringe. And I didn't realize it, but the first episode is SUPER long. So he got a much longer lunch break that I thought he was gonna get. hehe. I crocheted some more, and watched, and he and I had a very pleasant lunch break. And some Red Coat outfits that Captain America wore when he was 5. Cool, huh? We'd dressed up colonially one year for Cub Scout camp, and still had the costumes. Jimmy wanted to be a Red Coat for the school party tonight. Sounded fine to me :) So I pulled that one out too. And then I went in my room and worked on my costume. I got the wig out, and brushed it real good. And it didn't look so bad. I trimmed up the bangs a bit, and tied some ribbon for a crown, and it was good to go! And then I found this Snow White costume from last year, and convinced Jake that it would be funny to try it on, AND that it was OK for me to put the picture on Facebook. Yeah, I'm not sure what I said to the child, but he agreed to let me, and was even laughing about it. Ha! He's gonna hate me when he gets older..... ROFL! So I took the curtain and cut off the part that attached to the curtain rod, and took the little table cloth thingy and draped it around my neck, and fastened it with my chunky belt. And safety pinned the curtain to the yellow part behind my neck. Then tied the ends of the curtain to my bracelets. I thought the effect was pretty good! Joe got home at 3:30pm, and I left the house at 3:40 to pick up the AQ kids. AND, I learned what AQ stands for! Activity Quotient. Hmmm, who knew... hehe. We got home around 4pm, and I told the kids to hurry and do their chores, then get on their costumes. I put mine on, and it took WAY longer than I thought it would. hehe. But I liked the finish results, so it was all good. Joe decided that he wanted to be a Red Coat also, so it was a good thing that we had 2 costumes for that. hehe. And Tom wanted to wear the costume that Captain America wore for the colonial thingy. It was a little big on him, but looked OK. And Eme was Athena, the greek goddess. I put a little make up on her, and she was good to go. Don't we all look good? And at the last minute, Jake decided that he wanted to come too. It's not his school, and he didn't enjoy it last year, so he'd decided to stay home. But jumped in the truck (no costume), and came with us. Yeah! Captain America was supposed to come, but had to stay late at work, so he missed it. Hmpf! Maggie and her family came and sat with us at dinner, then we all went inside for the Monster Math Night. They had a ton of activities (math orientated) where the kids could earn candy, and it was a madhouse. hehe. But I just let the kids go and play and do, and didn't worry too much about keeping tabs on them. They could tell where I was, because I was one of the only tall people wearing a costume. ha! I kinda stuck out. At first, when I found out that Captain America wasn't gonna be able to go, I wasn't gonna wear a costume. But then I decided that I REALLY like costumes and dressing up. And the only reason I wouldn't wear one would be because I was insecure. And it would be better to have a costume with Captain America. BUT, if dressing up makes me happy and I like it, I don't need Captain America to be there in costume for me to enjoy it, right? So I decided to do it for myself because I like it. See, therapy is helping me - hehehe. At one point, the singing/dancing club (US kids) put on a dance performance of Thriller, and they turned out all the lights. And Eme's glasses she'd won glowed in the dark. Ha! We stayed the entire 2 hours, and it was a pretty good time. The kids had a BLAST! I got to visit with Maggie, and Kari, and Laurie, and Erin, and Veronica. So it was a good time for me, too. hehe. Veronica invited me to lunch tomorrow at Olive Garden with her and some friends, and I asked if Maggie could come too, and she said yes. So we're gonna go at noon tomorrow, and I'm SO excited. Love me some Olive Garden! We headed home at 7pm, and we cleaned up the costumes, and got them all ready for Trick or Treating. And I sat down to load my store the rest of the way, and Jake and Tom volunteered to get the little kids to bed. Well, they kinda bargened with it. "If we put the little kids to bed nicely, can Tom and I watch a short movie in my room" was the deal. OK, sounds good to me. One did scriptures and prayers with Joe and one did it with Jim. SUCH great big brothers! I got my store loaded, and just as I was starting on my blog, Captain America got home. Around 8 something. Poor guy works SO hard. He looked at my pics from the day, changed, and got his truck "driveable", and he and I took his truck and my truck out to the shop. And we drove back home together in the suburban. That kinda took a big chunck out of the evening. Hmpf! looks like you all had an amazing time and you all looked fantastic. Thank you for this wordart. I have just the photo to go with it ~ my nephew when he was about 10 or 11, dressed up as 'a lady' in his younger sister's skirt and top complete with wig and handbag!! Thank you so much for this post. 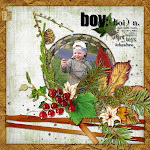 I want to let you know that I posted a link to your blog in CBH Digital Scrapbooking Freebies, under the Page 8 post on Oct. 29, 2010. Thanks again. Great costumes! Looked like a lot of fun! 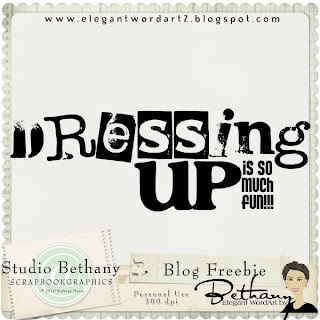 Thanks for the word art too! PS LOVE your daughter's glasses!